Noble Audio Noble 6 review | What Hi-Fi? Can such tiny things really justify their monumental £600 price tag? 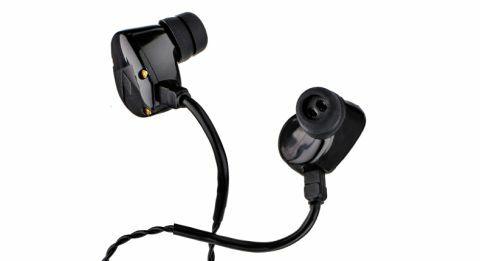 The Noble Audio Noble 6 headphones – named for the six drivers housed inside each ear bud – are really good. But ‘really good’ isn’t enough at this price. Play Regina Spektor’s Blue Lips and you’ll be treated to a sound that’s packed with plenty of detail. Her delicate vocals sound intimate, direct and cleanly delivered. Instruments have convincing weight and texture, but we’d like more dynamic subtlety at this price. The piano notes aren’t quite as fluid or realistic-sounding as we’d expect from such high-end in-ears. The jangling, bluesy guitars in Songhoy Blues’ Soubour time well and work cohesively in a spacious soundstage, but there’s a thin edge at every note that stops the Noble 6s from sounding seamless. A richer, deeper low end would even out the balance somewhat, but they’d still be missing out on the finer nuances in dynamism and drive. Plugging the Noble 6s straight into your smartphone or laptop will do them a disservice. They’re very sensitive, so a DAC, such as the excellent £260 Oppo HA-2, is needed to bridge the gap and make the most of these in-ears. There’s no in-line mic or controls, and they’re not the most comfortable headphones either. The chunky buds stick out and the stiff ear hooks won’t flex to suit everyone’s ear shape. The twisted cable is a nice touch, though, as this makes them less susceptible to airborne frequencies. Despite their many talents, the Noble 6s haven’t blown us away. They need to be far more faithful and captivating to justify that that wallet-burning price tag.